Hulk Hogan bodyslamming André the Giant was heard around the world. But, how did the biggest match in wrestling history come together? After Wrestlemania II in 1986, WWF owner Vince McMahon was on a mission to make Wrestlemania III “Bigger, Better, and Badder.” McMahon had booked the Pontiac Silverdome in Michigan and wanted to draw at least 90,000 people. So the only question was, how the hell do you fill up a stadium with that many fans? To McMahon, the answer was simple: take the two biggest stars in the industry, and pit them against each other in the main event. 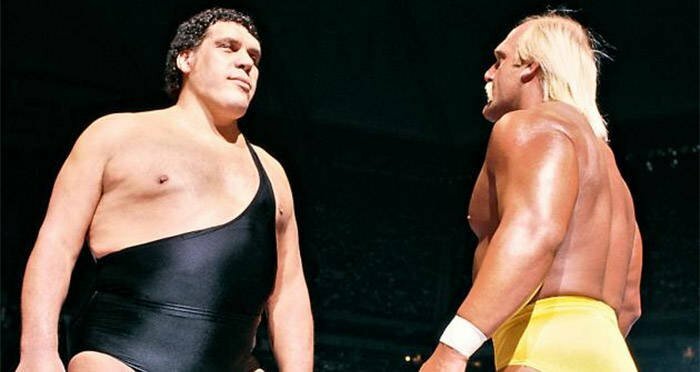 YouTubeHulk Hogan and André the Giant. The only problem was that André the Giant was in excruciating pain and could barely walk, let alone work a match with Hogan. After winning a battle royale at Wrestlemania II, André’s career began to slow down as his health began to decline from acromegaly. With his grappling career taking the backseat, Andre wast cast in The Princess Bride and was looking for looking forward to the transition to acting. 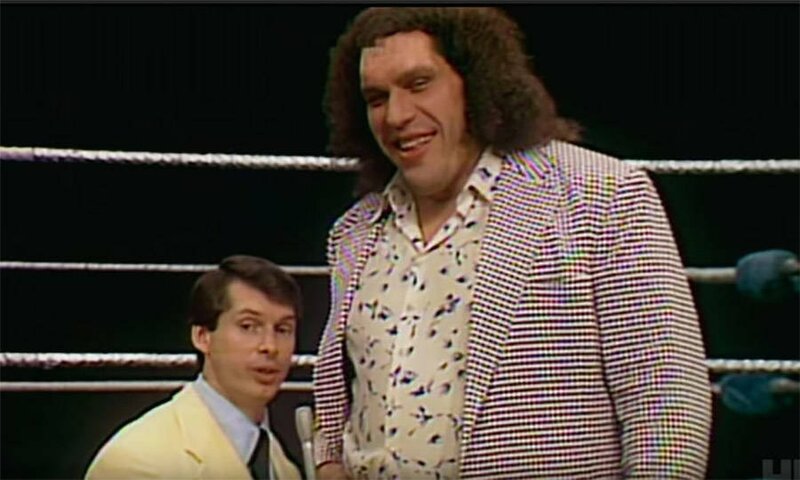 YouTubeVince McMahon and André the Giant. However, McMahon was deadset on bringing the big man back into the fold and flew out to the set of the film in England to convince André. According to McMahon, André needed surgery and initially wanted no part of the operation. “Originally, he wasn’t going to have the surgery but I convinced him to have it and be a part of this one last thing. I told him, ‘You and Hogan will draw the biggest crowd ever for an event like this.’ And he agreed,” said McMahon. With André finally on board, the questions turned to the match setup, which would be difficult as he was recuperating from his surgery at McMahon’s home in Greenwich, Conn. To account for his absence, the storyline was that André had been suspended from in-ring action for not fulfilling certain contractual obligations. To thicken the storyline plot, McMahon would also have to get creative to play up Hogan and André’s feud, especially since they were friends. Back in the day, wrestling typically featured the classic babyface (good guy) vs. heel (bad guy) plots. The issue here was that Hogan was already an American hero who preached about taking vitamins and saying your prayers. Before his sudden absence, André was also a babyface, a role he cherished. 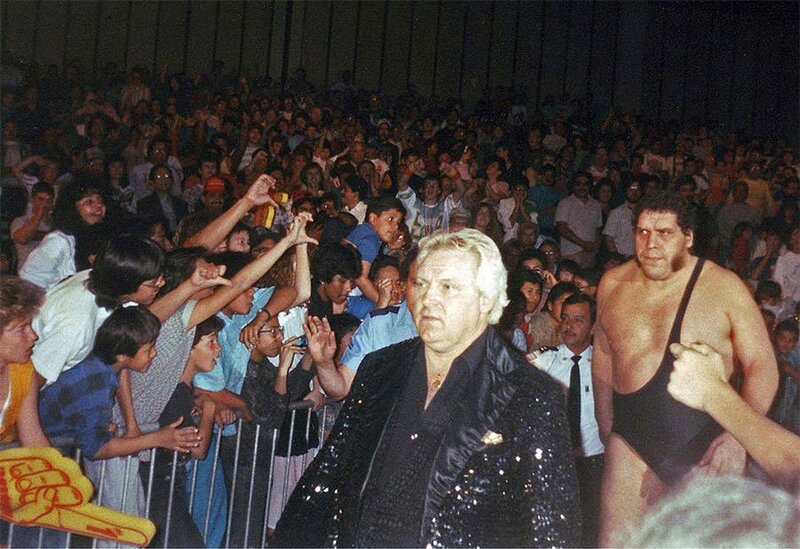 Wikimedia CommonsAndré the Giant and Bobby “The Brain” Heenan. Thankfully, André agreed to turn heel and, in several backstage interview skits, began to play up a jealousy angle with Hogan to set up a future match. To make it even more convincing, André paired up with one of the WWF’s most detestable men, Bobby “The Brain” Heenan. With his new manager at his side, André finally challenged Hogan for the title at the big show, firmly cementing himself as the WWF’s biggest villain. As the event neared, the finish was set with Hogan getting the win and André taking a big bodyslam. However, many were concerned that André wouldn’t lay down for Hogan or even allow himself to be picked up for the spot. While he was a true professional, it was known that he could be stubborn and if he didn’t want something to go down, it wouldn’t happen. After all, who was going to stand up to a 500-pound monster? YouTubeHulk Hogan and Andre the Giant during their Wrestlemania III contract signing. The match went off without a hitch in front of 93,000 screaming fans and Hulkamaniacs. A sweat-soaked Hulk Hogan scooped up the behemoth André the Giant with his 24-inch pythons and slammed him down to the canvas. He followed this up by hitting his world famous leg drop on the Frenchman’s skull and pinning him to keep his championship. YouTubeHulk Hogan Slams André the Giant. It was a moment that catapulted the WWF and Wrestlemania as a must buy pay-per-view. With a ring-shaking slam, André, who had was wearing a back brace during the match, had passed the torch to Hogan, allowing him to become the industry’s biggest and most profitable icon. In reality, the move itself was nothing out of the ordinary. It wasn’t a crazy “Superfly Splash” off the top turnbuckle, and it wasn’t the even first time André had been slammed. Hell, Hogan had actually dropped him with it six years prior. But, in the eyes of André and everyone else, it’s a moment that completely changed the business. “That was the highest moment that André would ever have in the business. He was so proud of that. Even in his later days, when he could hardly move in the ring, he lived off of that, and he should have,” said McMahon. Next, read about Andre the Giant’s incredible drinking habits. Then discover more incredible Andre the Giant facts.